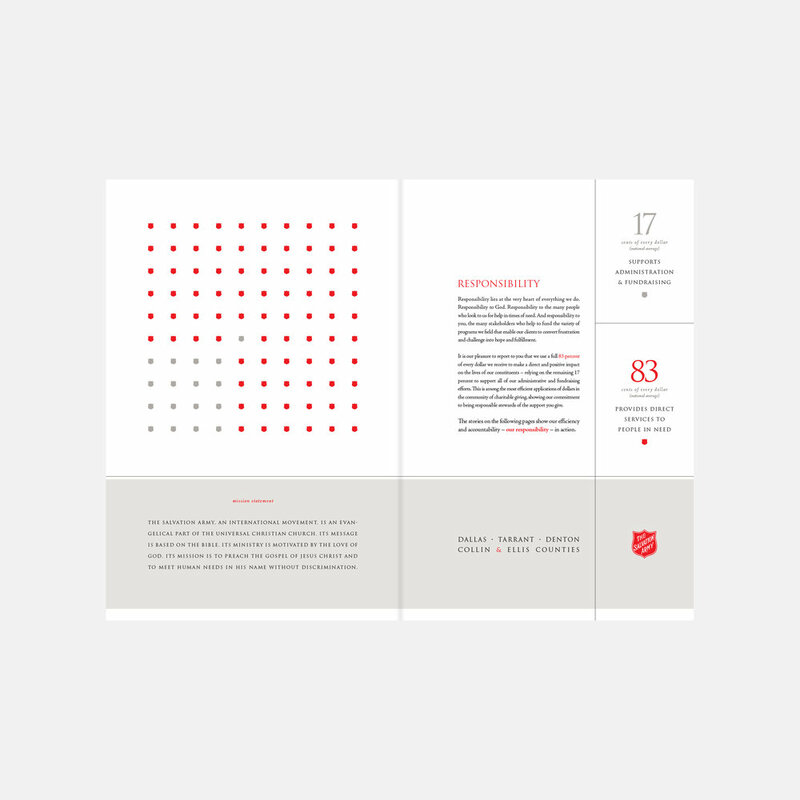 Niemann Design developed an annual report for the Salvation Army North Texas Division which emphasizes the large portion of every dollar that goes directly toward services for people in need. This idea is established with a graphic on the front cover representing this number as shields. 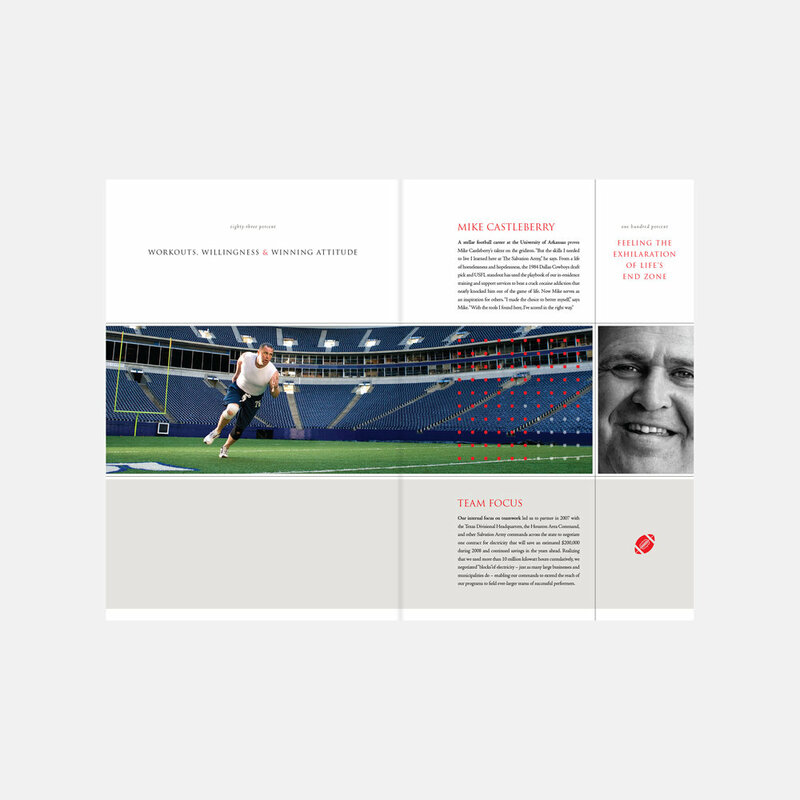 This number is used as an overriding concept and design element throughout the book. 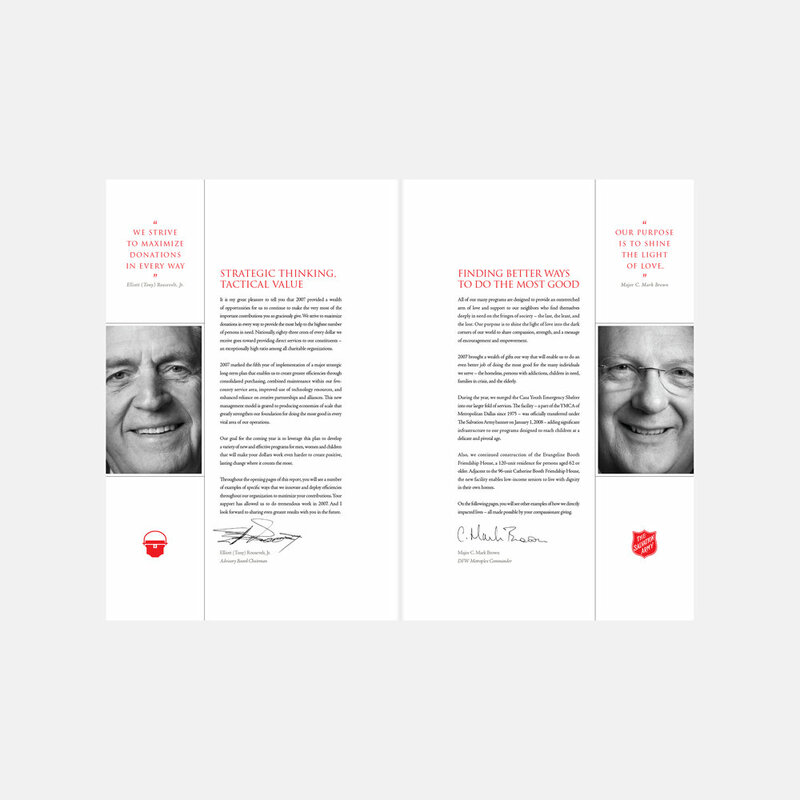 The focus of the annual report is stories of Salvation Army clients that faced difficult times but managed to achieve their goals through their own hard work and the help of the organization. 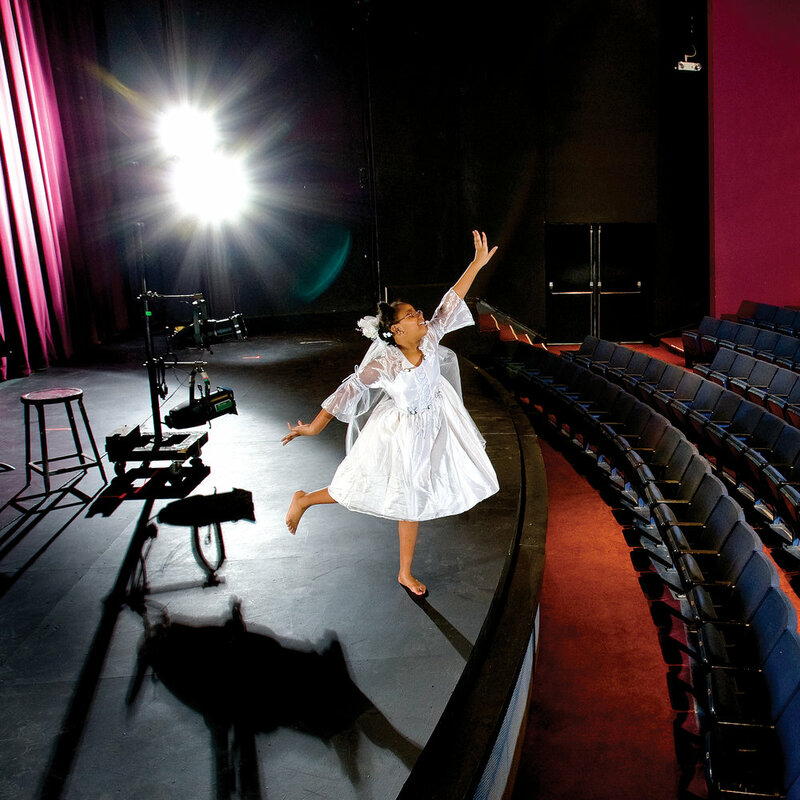 Each story is told through the aspiration of a client. For example, a college football player who dreamt of playing in the pros is shown running on the home turf of the Dallas Cowboys. Each story is a shining example of a personal triumph told through text, design and the stunning photography of Pete Lacker. 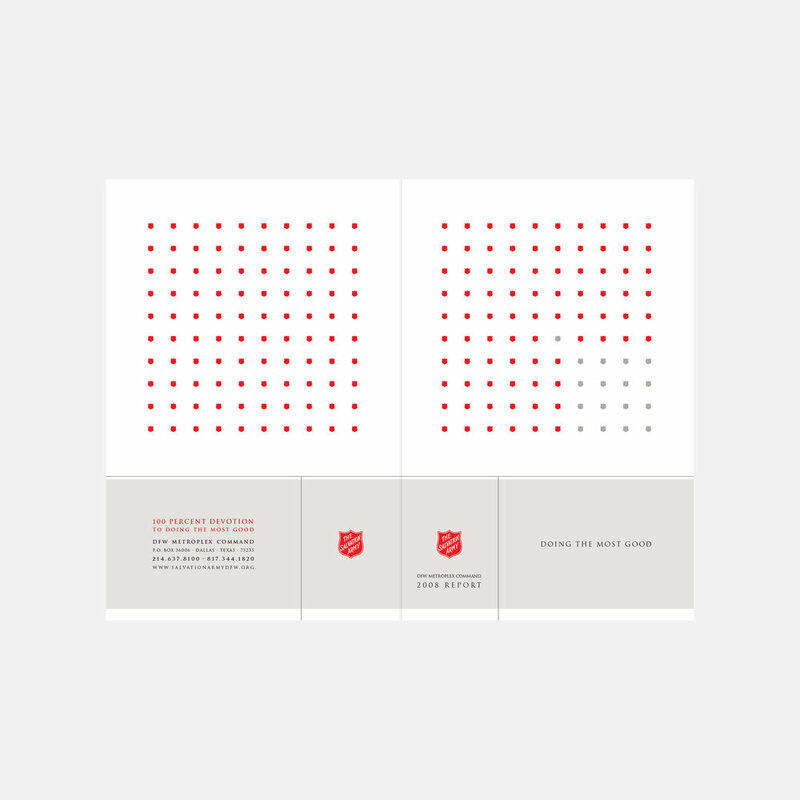 The annual report was distributed to donors as well as other key figures and has became an inspiring keepsake for the recipients.